Edinburgh, Scotland,UK. 28 March 2018. 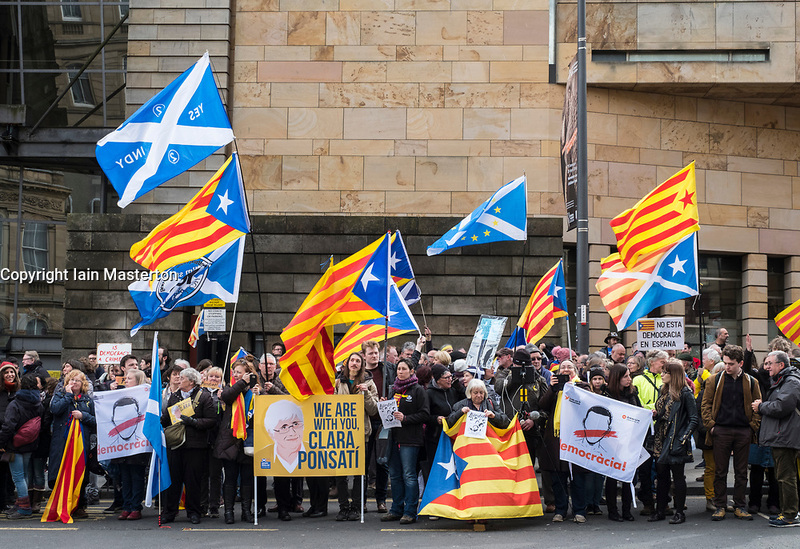 Supporters of former Catalonia Education Minister and independence supporter Clara Ponsati outside Edinburgh Sheriff Court ahead of her bail hearing. Ponsati faces extradition to Spain. She was granted bail.